So where did it all start for Partey? How did he end up at Atletico? 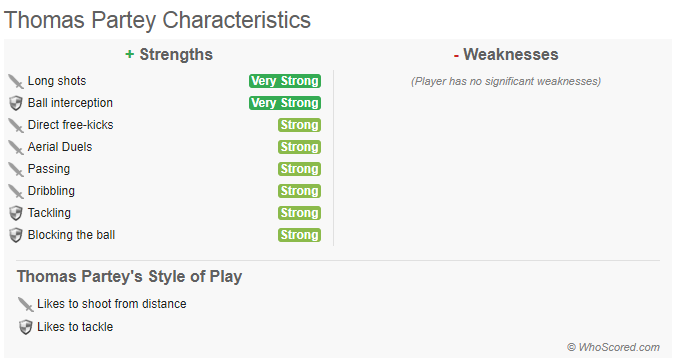 What type of midfielder is he? Which clubs are targeting him? Firstly, like many African players with a western name such as Thomas, the Ghanaian midfielder is known as Teye to his parents. Thomas Teye Partey was born 25 years ago in the Eastern town of Ghana called Krobo Odumase. Partey’s route to Spain was as short as playing at Ghana’s Odometah FC’s academy before heading to Athletico’s B side in 2013 aged 20. What type of midfielder is he? Transfer rumours have linked the Ghanaian star with several European heavyweight clubs such as Paris Saint Germain, Manchester City as well as Arsenal.